Whether you are a last minute shopper or looking for a special treat for yourself, Whish Beauty has a gorgeous collection of holiday sets to indulge in this year! It's a great way to sample what the brand has to offer and take advantage of their exclusive holiday scents. I gravitate toward sweet scents and the two features today are absolutely scrumptious! The two holiday sets I have are in Vanilla Mint (an Ulta exclusive) and Sparkling Berry. I'll admit it. 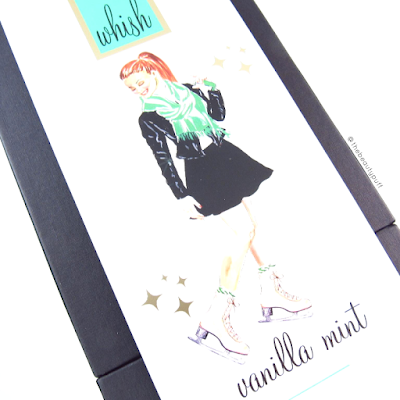 I am a complete sucker for Whish Beauty's packaging. These holiday sets are gorgeous! They come in sturdy black boxes with decorative cardboard sleeves. You could gift them as they are or just add a simple bow if you're in a rush. The items inside are set in a clear plastic tray so they stay put if you decide to wrap them and keep the contents a surprise! I love this packaging so much, I have both of these boxes out on display. Whish Beauty products are not only beautiful, but they contain no harsh ingredients! Whish Beauty products are free of: sulfates, parabens, phthalates, DEA & TEA, and petrochemicals. They are also cruelty free! All three of these products hydrate with organic aloe, organic shea butter, and organic raspberry butter. The Bath & Body Gel lathers easily, filling the air with delicious scent. It rinses clean and leaves skin smooth and silky. It's the perfect indulgence for this time of year when skin needs extra hydration. For after the shower, or any time of day, the Body Butter is perfect for additional moisture. It's smooth and not greasy which I really like! It's a great size to bring with you in your purse, or have out in a bathroom on display. The Sugar Scrub is a really unique formula. It's a rich, thick scrub that exfoliates and leaves skin hydrated so you aren't left with that tight, dry feeling right after a shower. It coats the skin in comforting moisture that you can feel as the exfoliates rinse away. This scrub contains bamboo powder, raspberry seed and brown sugar and organic cane sugar for a gentle, yet effective exfoliation. I love exclusive holiday scents and Whish Beauty did not disappoint this year. The mint in Vanilla Mint reminds me of Thin Mint cookies and the vanilla adds a sweet smoothness that's absolutely irresistible. It's the perfect winter scent if you ask me! 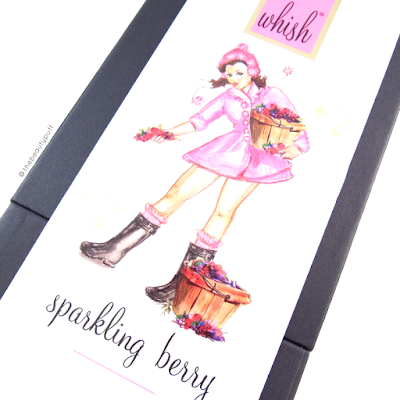 Sparkling Berry brings a sweet freshness to my skin that's still festive and seasonally appropriate. The packaging of this set is my absolute favorite. Combine my favorite color (pink) and holiday cheer and you've got me hooked! The Vanilla Mint Holiday Set can be found exclusively at Ulta.